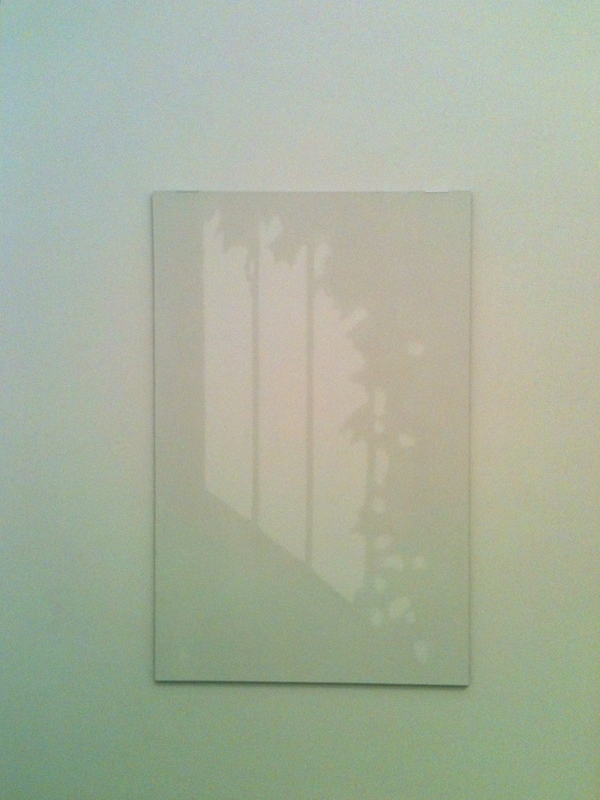 My first stop was at UNTITLED for the Anna Plesset show A Still Life, January 13-February 24. 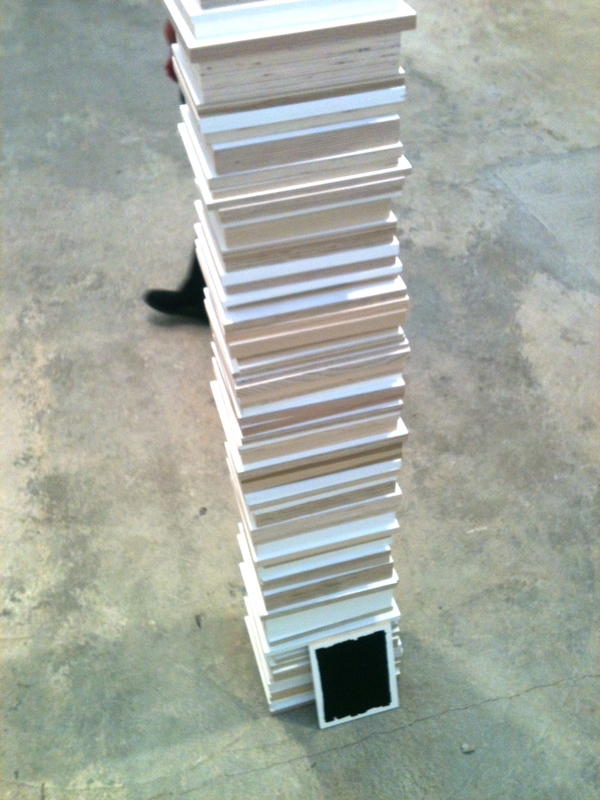 Plesset is a 2011 MFA graduate from RISD and this is her first solo show in New York. Pretty exciting! 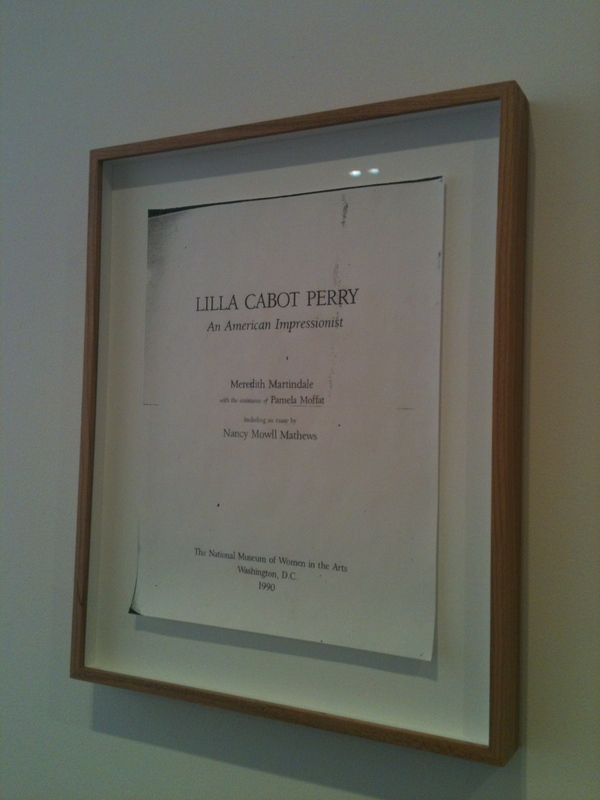 In the space of the entry and first room Plesset displayed framed photocopied pages from a text on Lilla Cabot Perry, a reference to a focus and point of departure for this show. The word tableau, like archive, is one of these words that is more and more present in artist’s writings, press releases and reviews. It’s distinctly indistinct enough to sound concise yet complicate its context and application. 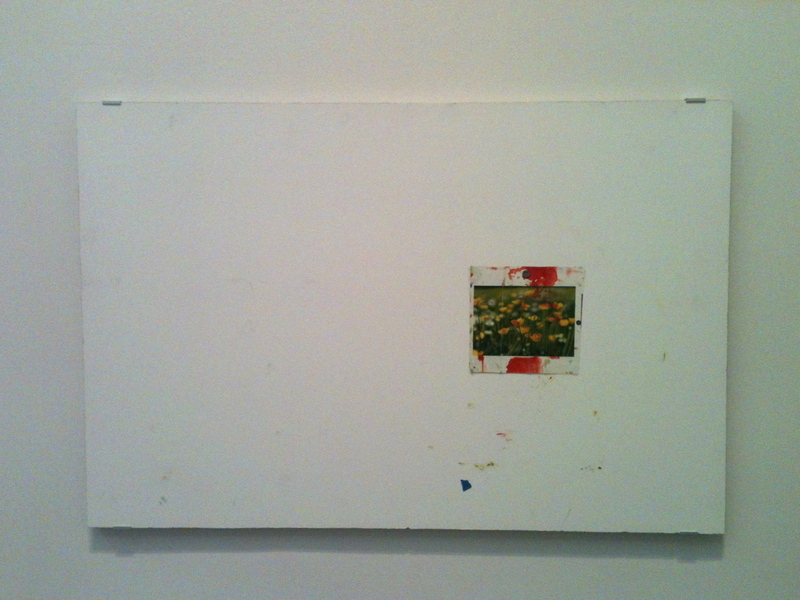 Engaging with the multiple definitions of “tableau” seem to be within Plesset’s intended scope of A Still Life. As a side note: It’s always interesting going to a gallery for the first time, not knowing what rooms are there to enter and what rooms are offices or “non-art” spaces. Maybe it’s safe to assume that the every open door is there to enter. 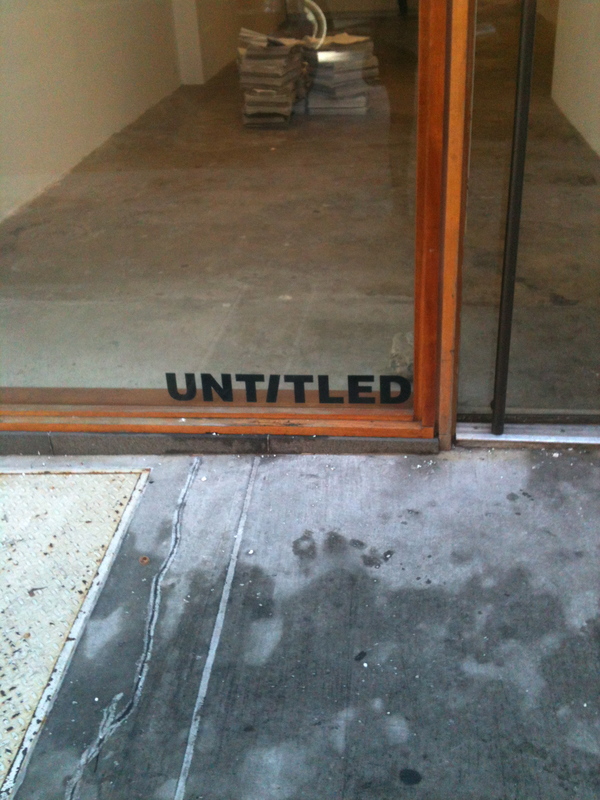 Thankfully that was the case at UNTITLED. 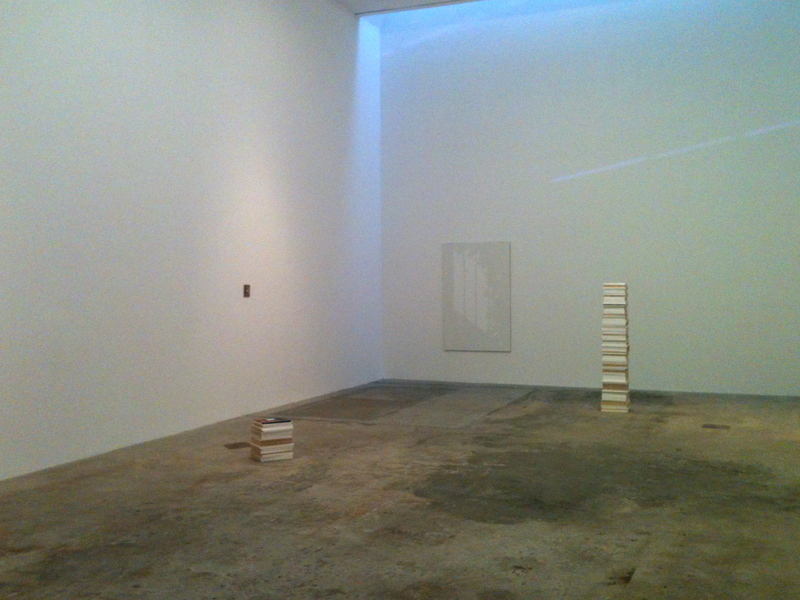 The back space of the gallery opens up into a huge room with at least 15′ ceilings and great natural light. 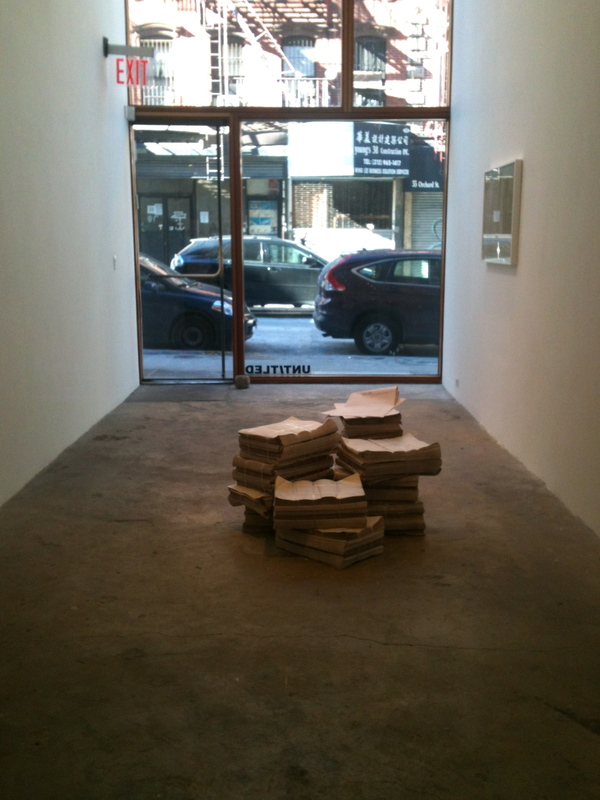 In this space Plesset’s works: 6 paintings, two sculptural columns made of wooden “books”, and a glass top table scattered with little fragments of stone and plaster, to use the cliche, had a lot of breathing room. 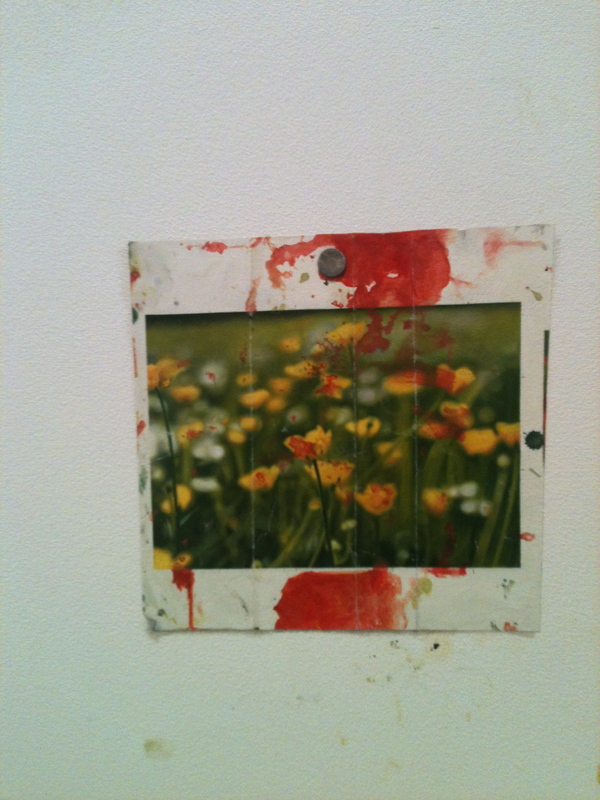 I was most impressed by her two paintings on dry wall that featured these trompe l’oeil recreations of would-be photographic source images taped to the wall, complete with smudges and splatters of paint. Plesset suspended the reality and fiction distinction for a pair of charming older couples while I was there. One lady, first in disbelief, then amazed called her friend over to see the illusion of painted painter’s tape on the piece South Wall: Section 2. 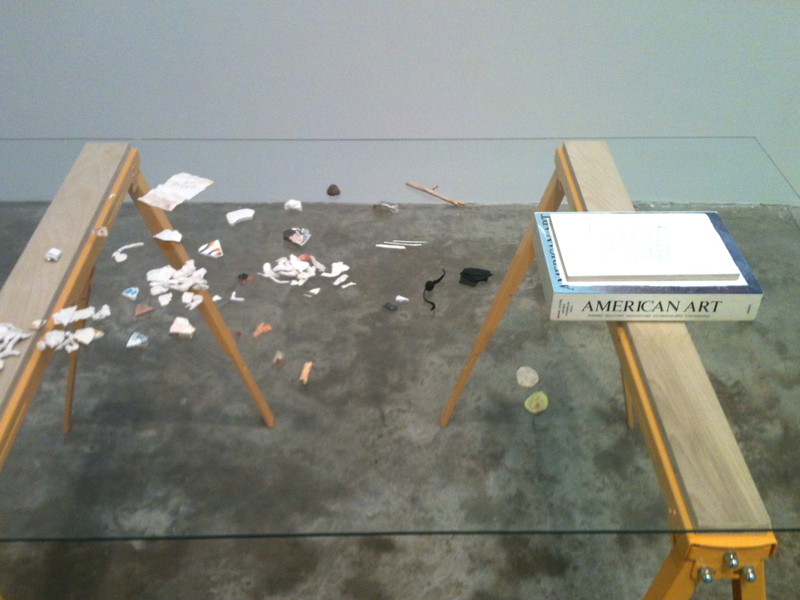 When they couldn’t find one of the pieces listed on the list of works they called the gallerist in. 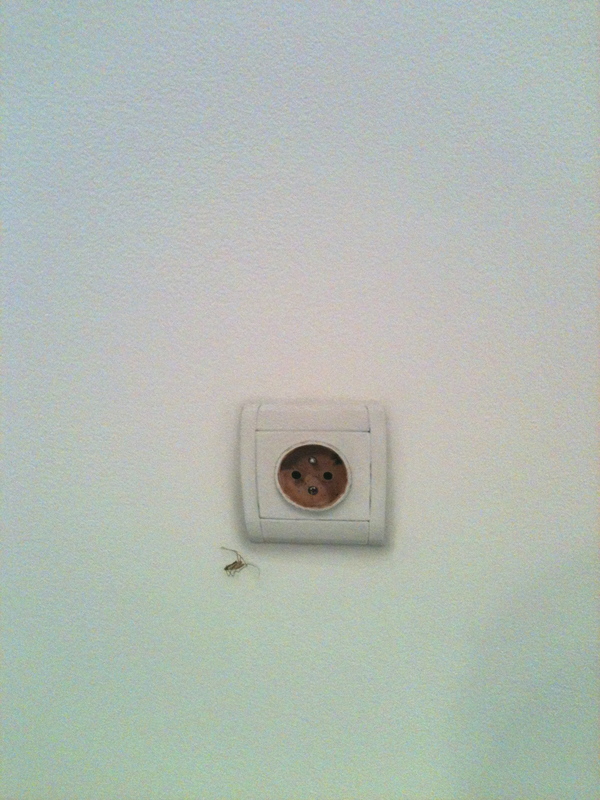 Outlet, painted directly on the wall and complete with painted dead spider, is the one that eluded them. I have to admit it was nice being in the space with them to see their true wonder and excitement and finding out of things. 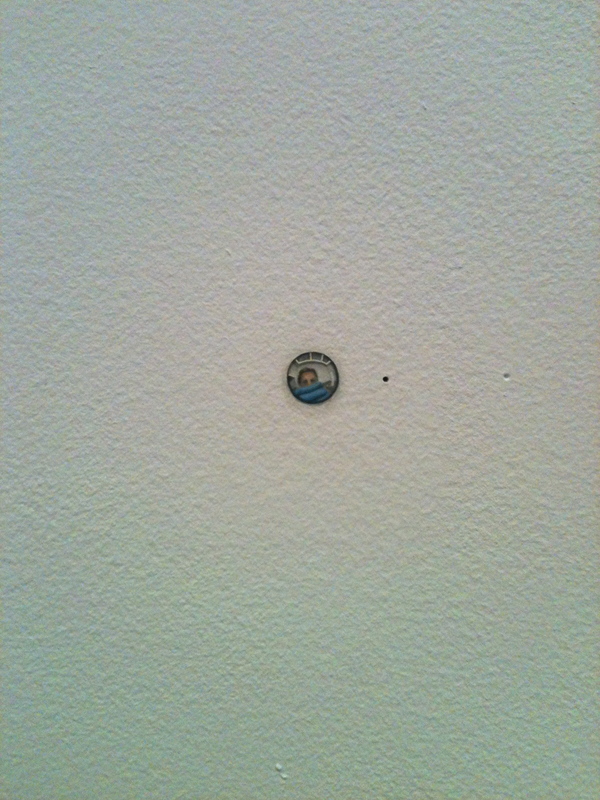 and at eye level, a peep-hole sized self portrait of the artist. Thank you Anna Plesset for a playful, curious, and intelligent show. 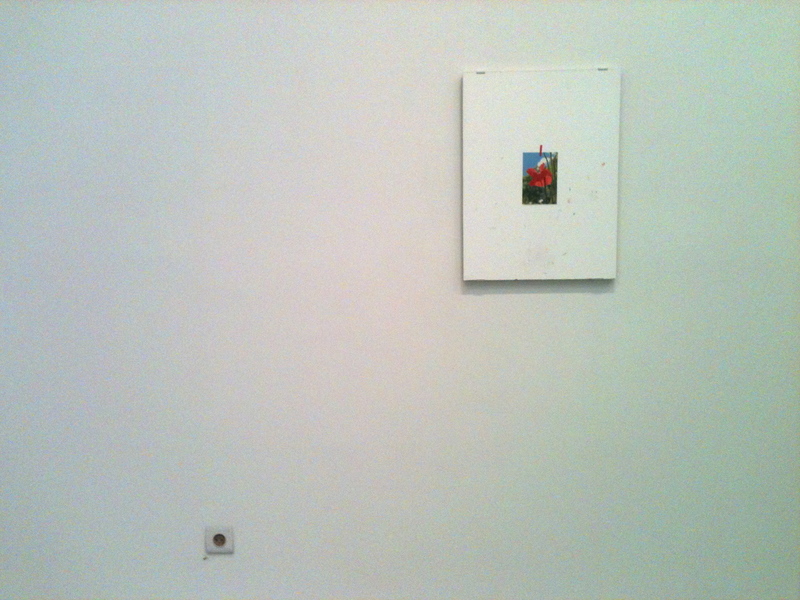 This entry was posted in mini-review, places and tagged Anna Plesset, art, painting, Untitled. Bookmark the permalink.